Hotels have been trying very hard to stop the growth of Airbnb, but still, Airbnb has remained as the supersize rival of hotels. Despite the fact that more destinations are now tightening up the regulations for short-term residential rentals, Airbnb turns out to be an even stronger competitor in the market. Airbnb is ready to fight against hotels by debuting the new brands of Airbnb Plus and Beyond by Airbnb and OTAs (online travel agents) as the company is set to become a full-service travel enterprise. Guess what? When it is impossible to get rid of Airbnb, hotels enter the room-sharing business. Following the lead of Wyndham, which recently purchased Love Home Swap, as well as Hyatt, which just added "handpicked" homes that meet Hyatt’s standard into the hotel’s "Unbound Collection," Marriott — the world's largest hotel chain — is also taking on Airbnb as it gets into the market for short-term residential rentals. This is a six-month pilot program in a partnership with Hostmaker that provides home rental management service in London as well as other top tourist destinations, including Paris, Bangkok, and Rome, to name a few examples. Such services as in-person check-in and 24/7 customer supports over the telephone are guaranteed. Travelers can earn Marriott Rewards for their stays, which will soon be combined with the Ritz Carlton Rewards and Starwood Preferred Guest Program. 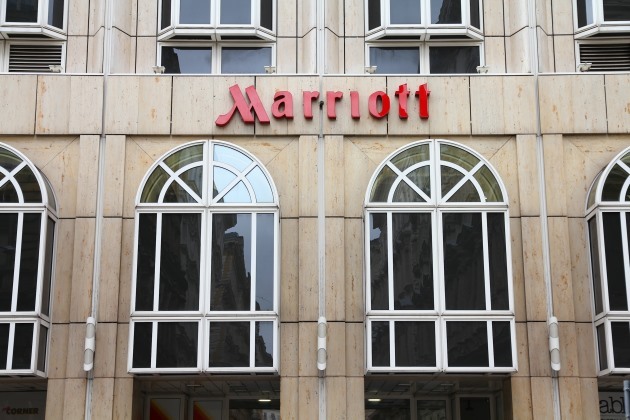 Similar to Hyatt Hotels that include individual home listings into its existing boutique hotel brand, the home listings under the Marriott umbrella will be listed in its "Tribute Portfolio," a former Starwood brand for independent hotels before the Marriott-and-Starwood merger. While the home listings under the Tribute Portfolio provide travelers a unique experience of a residential home, Marriott adds additional criteria to ensure the listings meet the standards set by the hotel chain. The average daily rate in this pilot program ranges between £200 and £250 ($270 to $340), higher than a budget hotel. Meanwhile, Airbnb's new product — Airbnb Plus also added additional checkpoints to its listings, with higher standards than the ones set for the regular listings. Moreover, Airbnb is planning to launch a loyalty program later this year. While the details of Airbnb’s loyalty program is yet to be announced, it is expected that frequent travelers who use Airbnb can enjoy similar perks of what other hotel loyalty programs would offer. So, what really sets the home listings managed by Marriott or Hyatt apart from the ones on Airbnb? Honestly, if Airbnb does it "right" in its two new brands and its yet-to-be-announced loyalty program, I am not sure if there is really a big difference between an Airbnb Plus listing and the ones listed under The Tribute Portfolio by Marriott or The Unbound Collection by Hyatt. The big hotel chains have the brand recognition for their trusted service standards, an asset that many individual Airbnb hosts or Airbnb do not have. In addition, home listings by Marriott must go through quality checks periodically according to the Marriott standards, but Airbnb Plus or Beyond by Airbnb would qualify a listing based on the initial check. Many hotel brands have already had a large group of loyal customers, but it will take a while before Airbnb figures out a new loyalty program that works. Hotels have the expertise of running a successful lodging business (e.g., using an effective pricing strategy in revenue management) whereas Airbnb is still a newcomer in the market. Certain services offered in a hotel cannot be easily replaced by a majority of the home listings on Airbnb, such as the convention or meeting space, resort amenities and elaborated room services (usually in upper-upscale and luxury properties only). As a result, it is unlikely Airbnb will compete with hotels in the group or convention business. Now that Hyatt, Wyndham, and Marriott have entered the home-sharing business, which hotel chain will be the next? What advantages and disadvantages do the home listings managed by Marriott or Hyatt have as compared to the ones that are available on Airbnb?